The Beach Club Resort & Spa is enviably located on the secluded Fort Morgan Peninsula of Gulf Shores, Alabama. The sprawling 86 acre-resort offers a gathering place for friends and families to relax and discover what it means for a vacation to truly be a vacation. 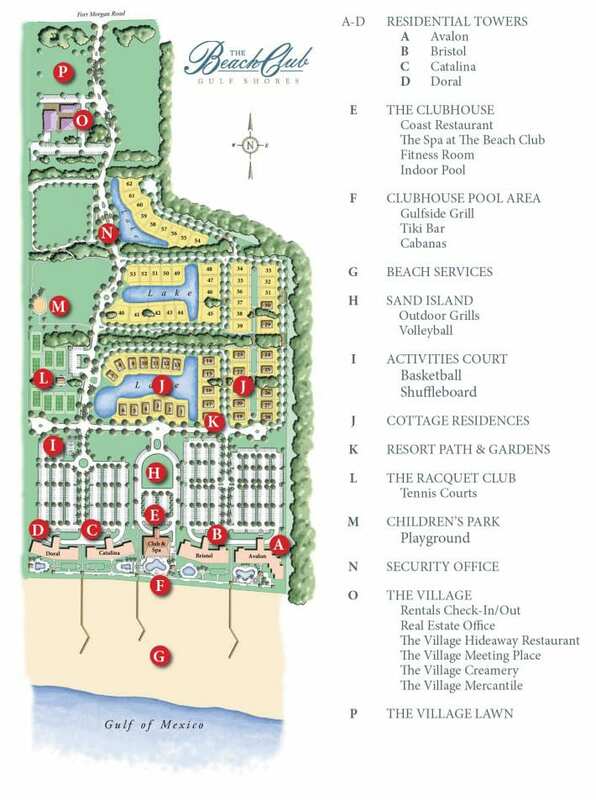 Browse our map and get to know the resort before you arrive. Contact our Concierge Specialists for more information about Gulf Shores’ only full-service resort.